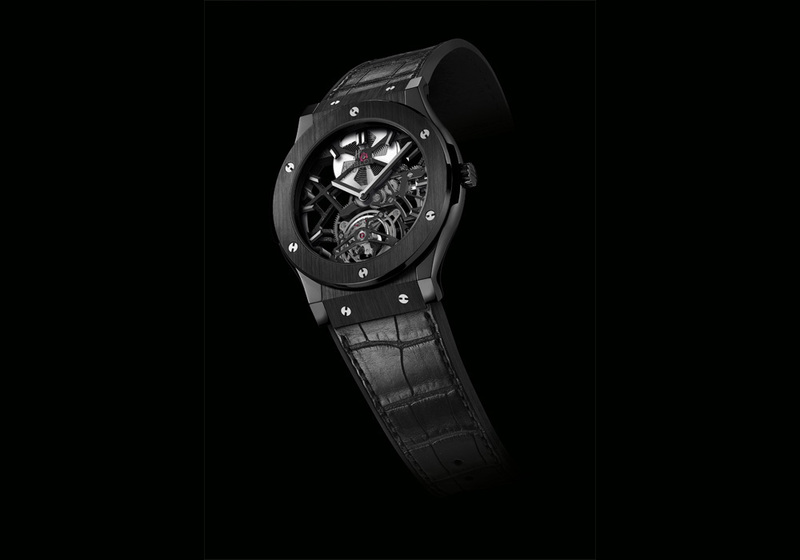 Hublot recently introduced a new black ceramic version of their Classic Fusion Skeleton Tourbillon. The Classic Fusion line features slimmer watches with more classic profiles. 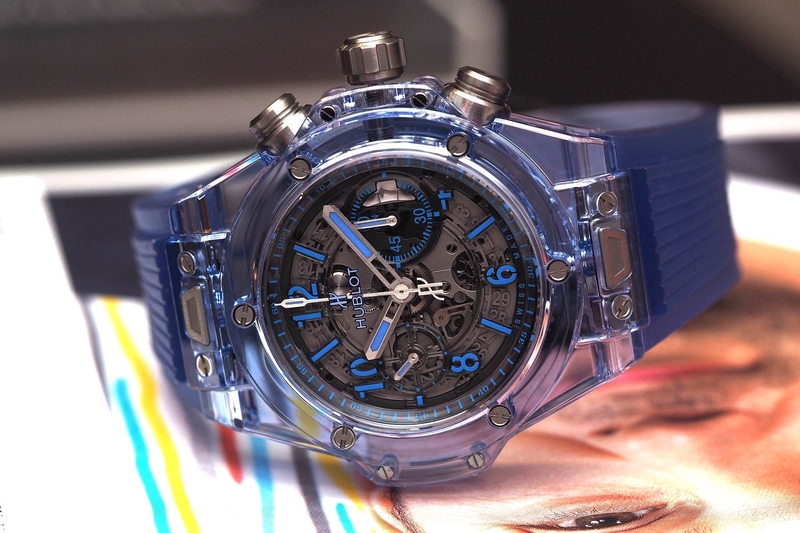 The new design is the most appealing Hublot we have seen in some time. Limited to just 99 pieces, the Classic Fusion Skeleton Tourbillon Black Ceramic comes in a 45 mm diameter black ceramic case with both polished and satin finishing. 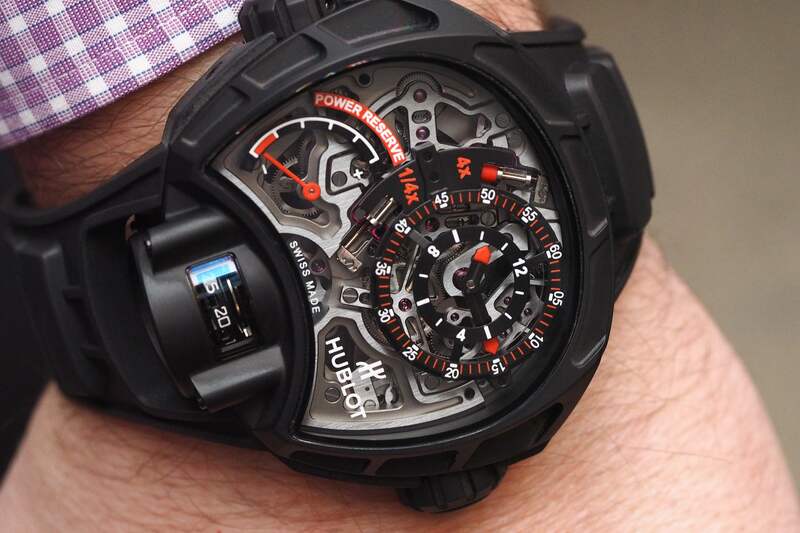 The ceramic bezel features vertical satin-finishing with 6 H-shaped titanium screws, countersunk, polished and locked. The sapphire crystal has interior and exterior glare proofing. 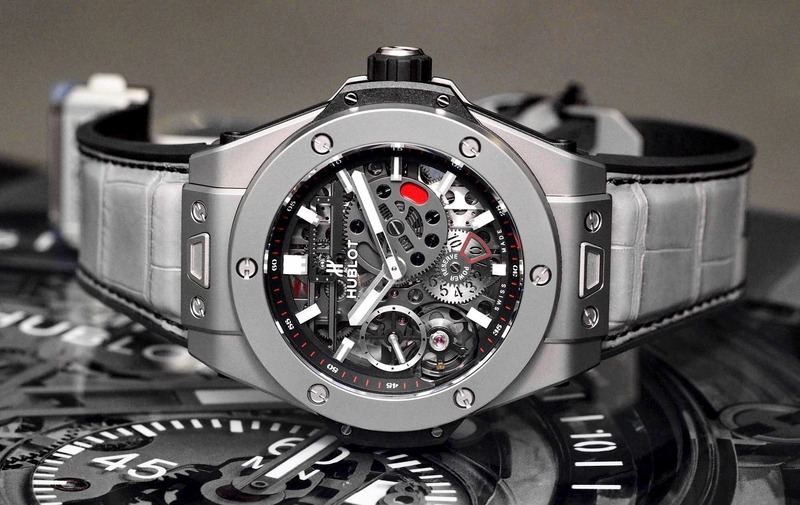 The crown is in polished black ceramic with engraved Hublot logo. The case back is in polished ceramic with a sapphire crystal with an interior anti-reflective coating. Water-resistance is 30 meters. The hands are polished and coated in black.